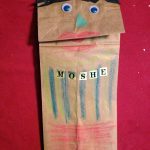 This video shows some of the tools that I currently use to teach Hebrew to my private tutoring students. 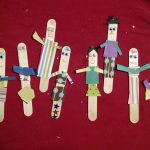 We have a lot of fun together! 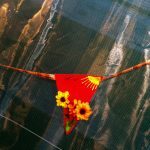 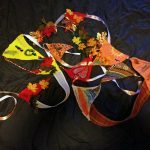 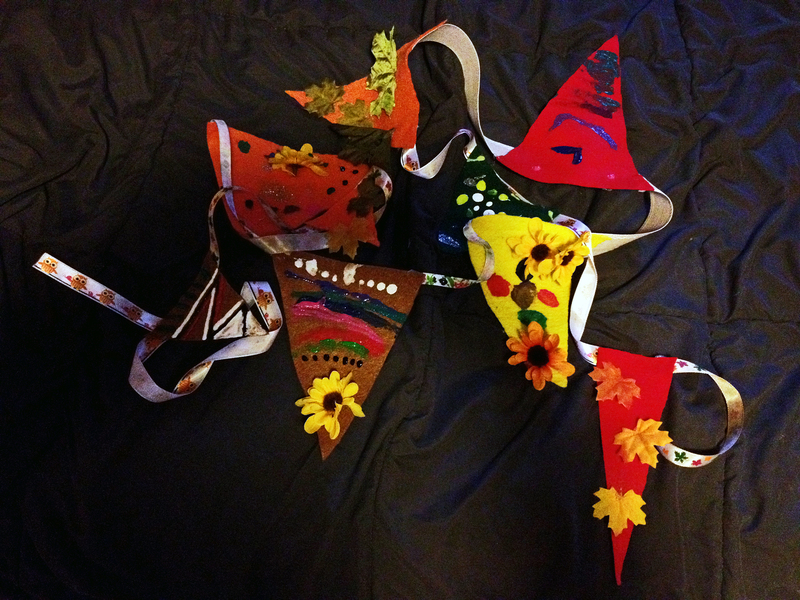 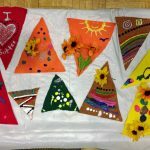 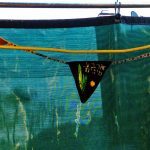 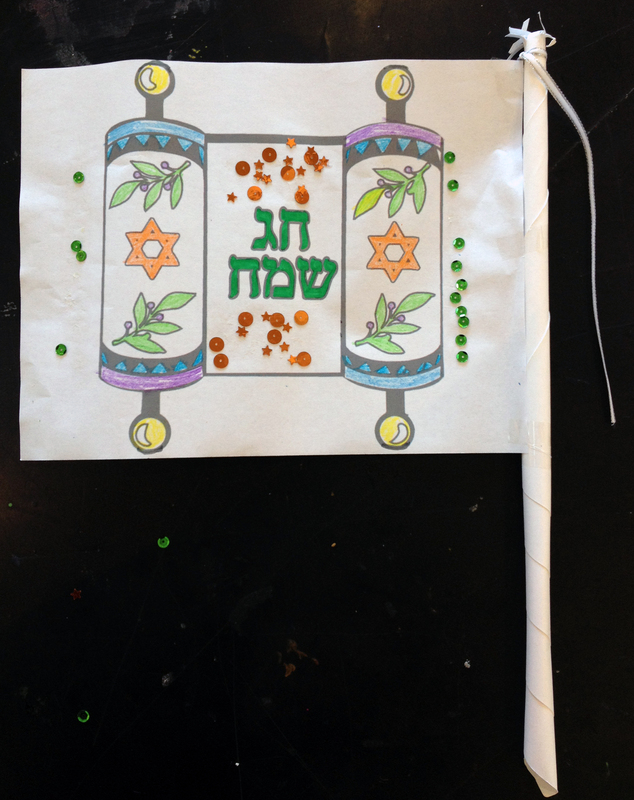 Sukkot banner flags drying before they can be attached to ribbons. 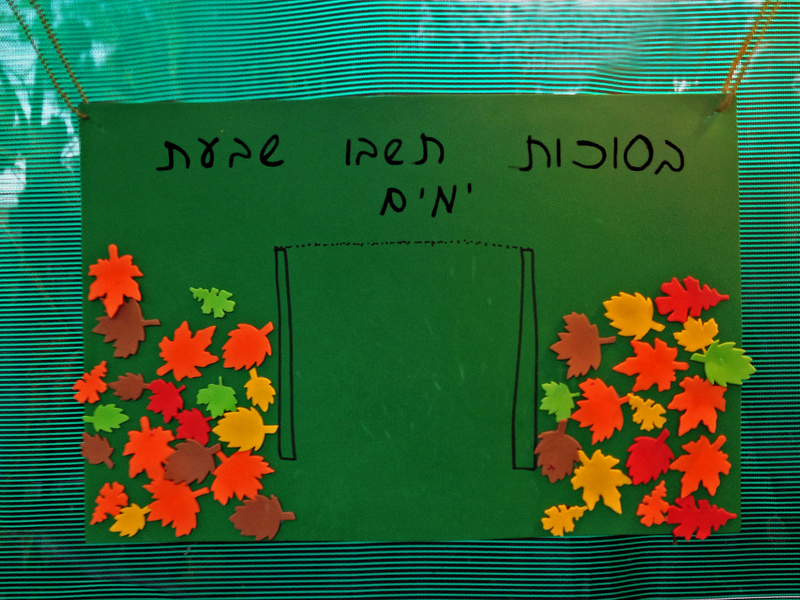 Finished Sukkot banner, waiting to be hung! 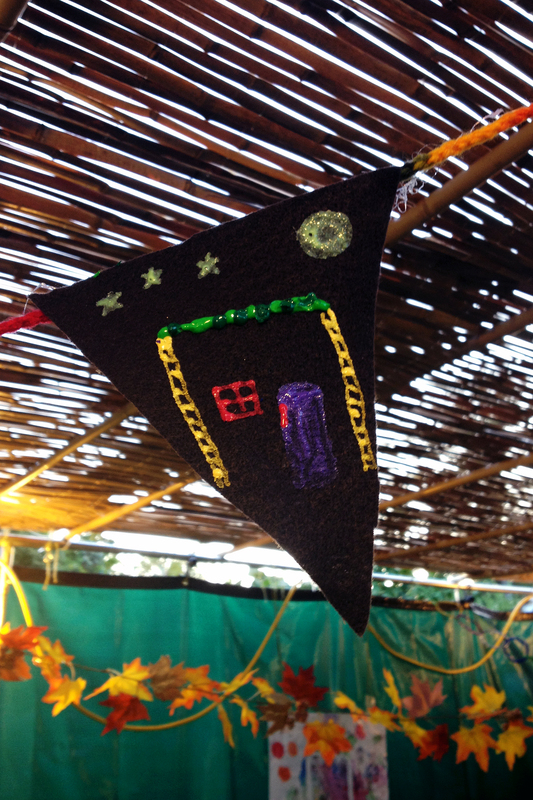 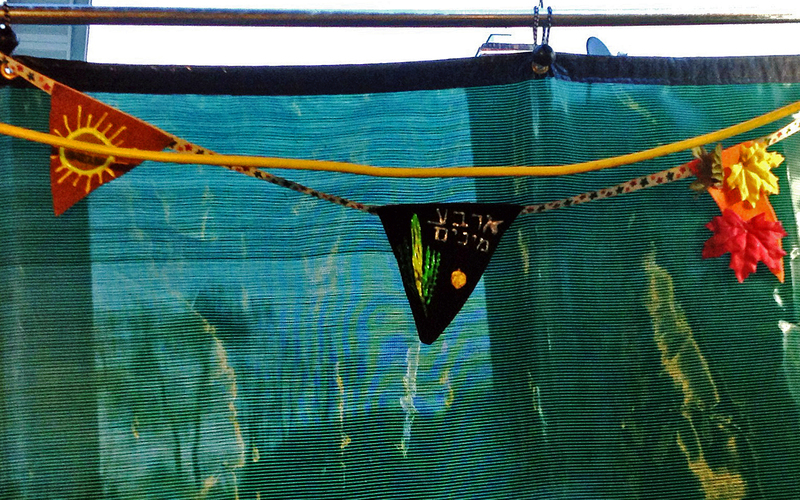 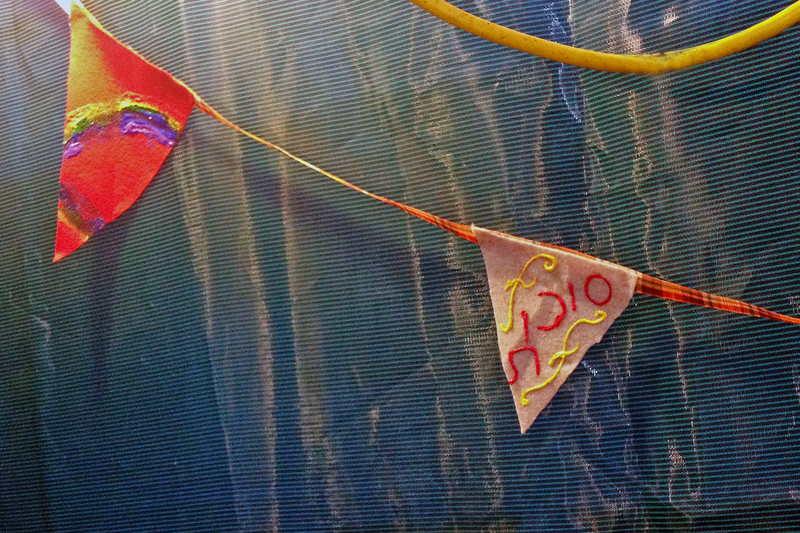 Close-up of Sukkot banner in action! 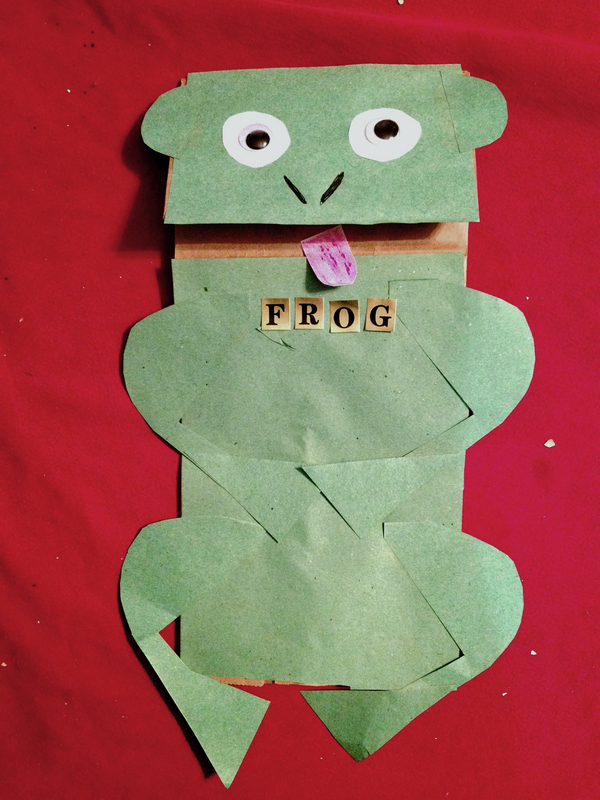 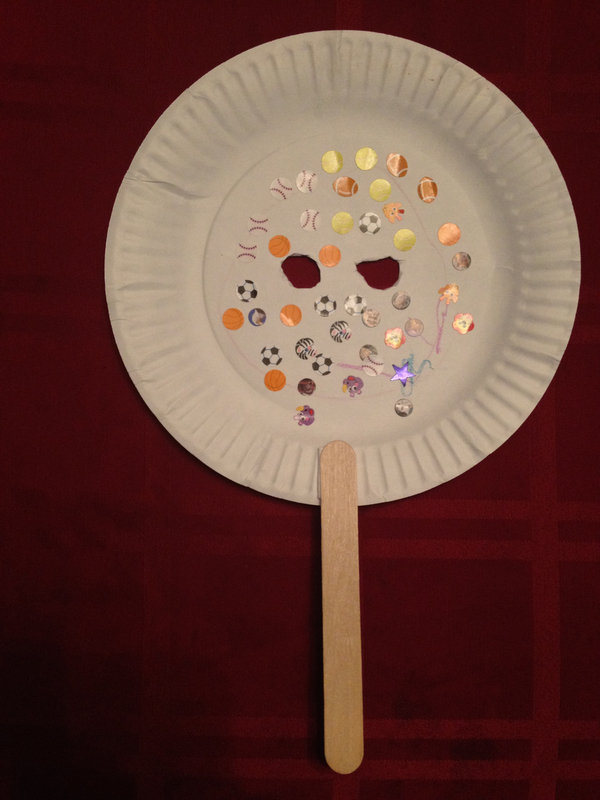 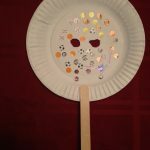 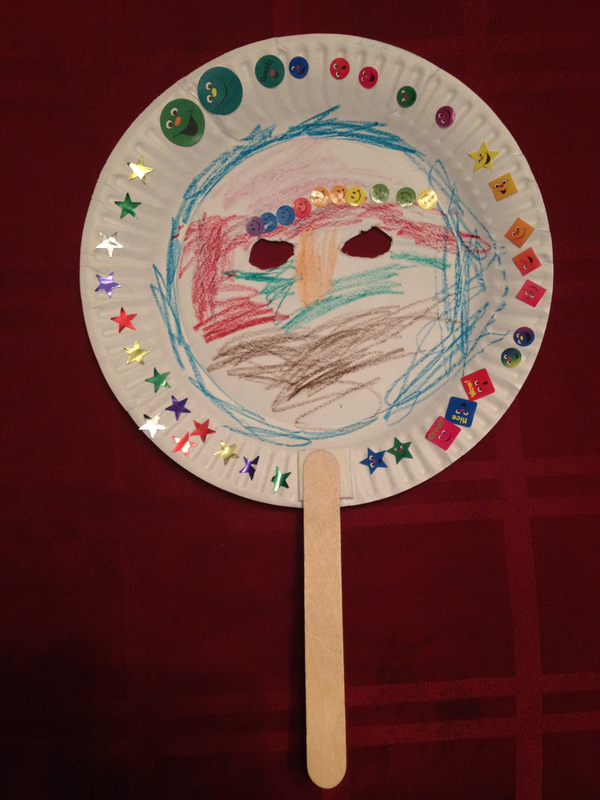 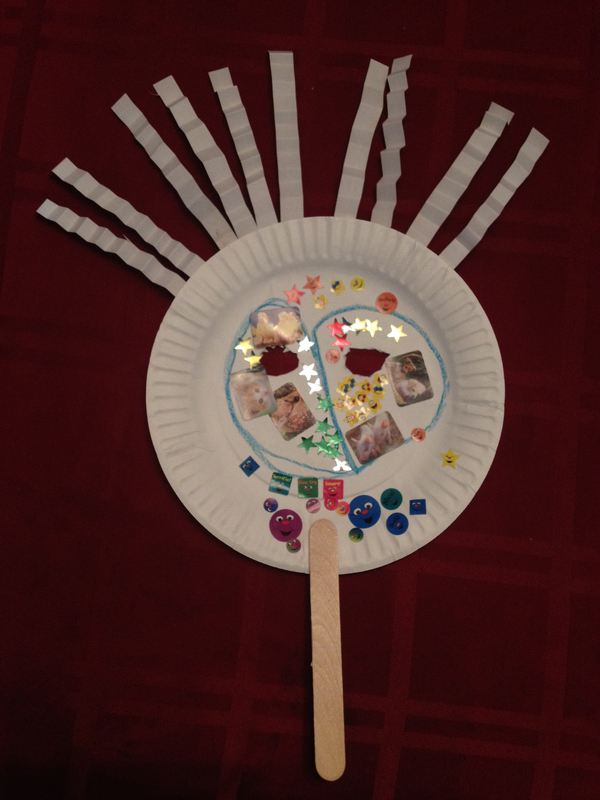 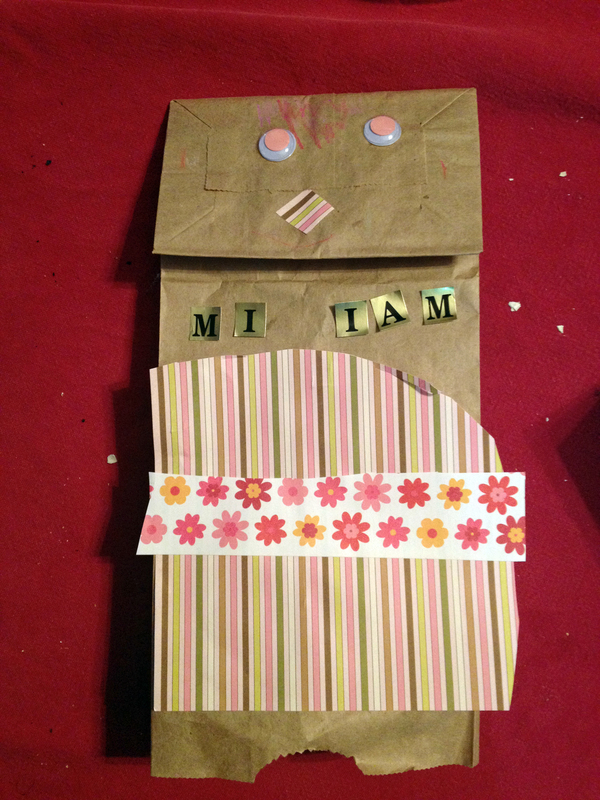 Created in collaboration with a 21-month-old. 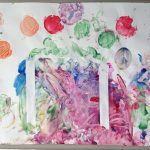 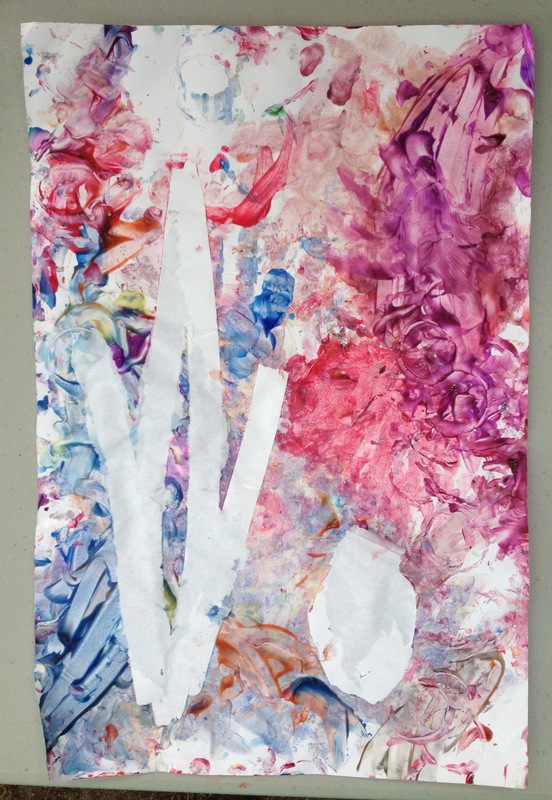 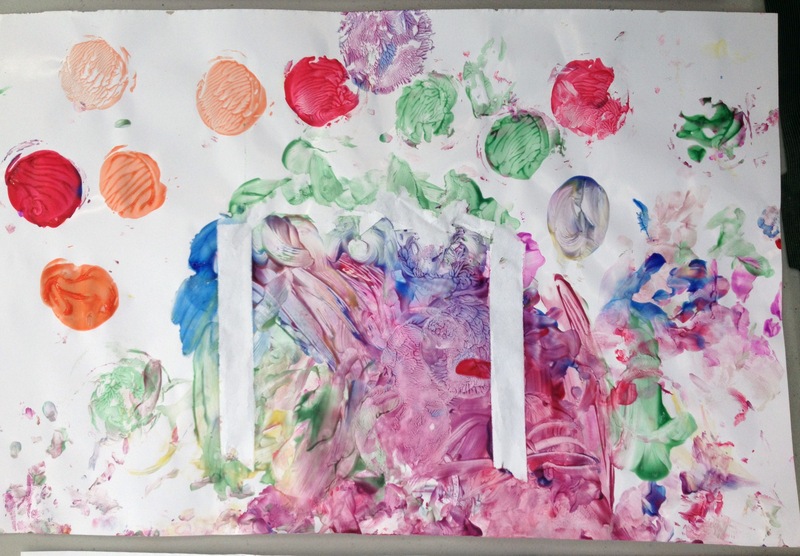 Masking tape relief + finger painting, created in collaboration with a 21-month-old. 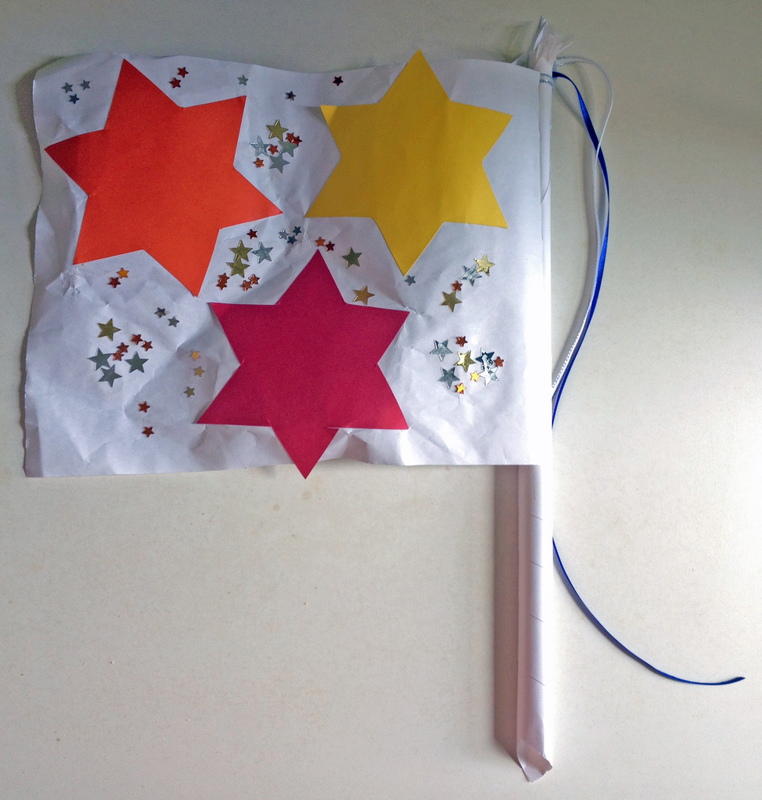 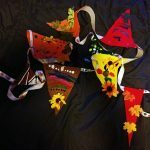 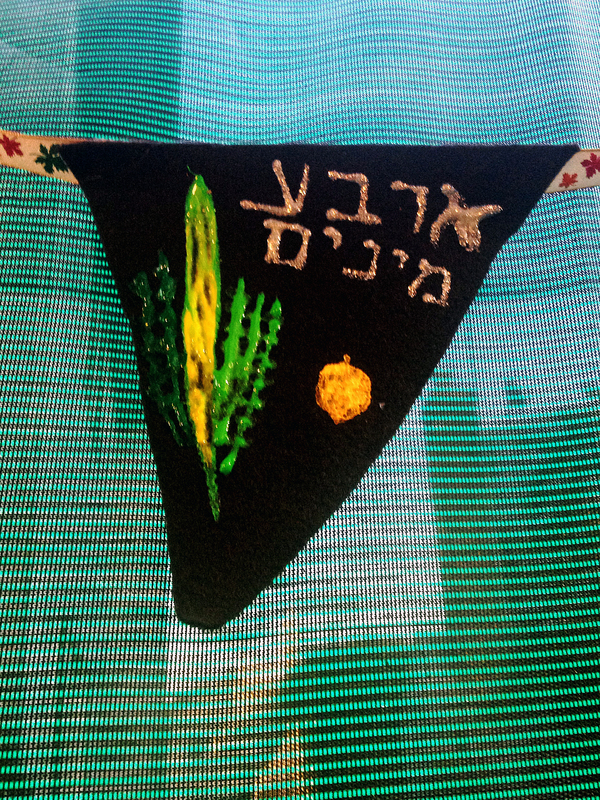 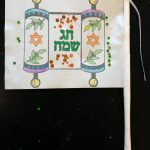 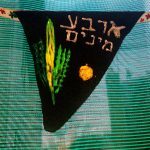 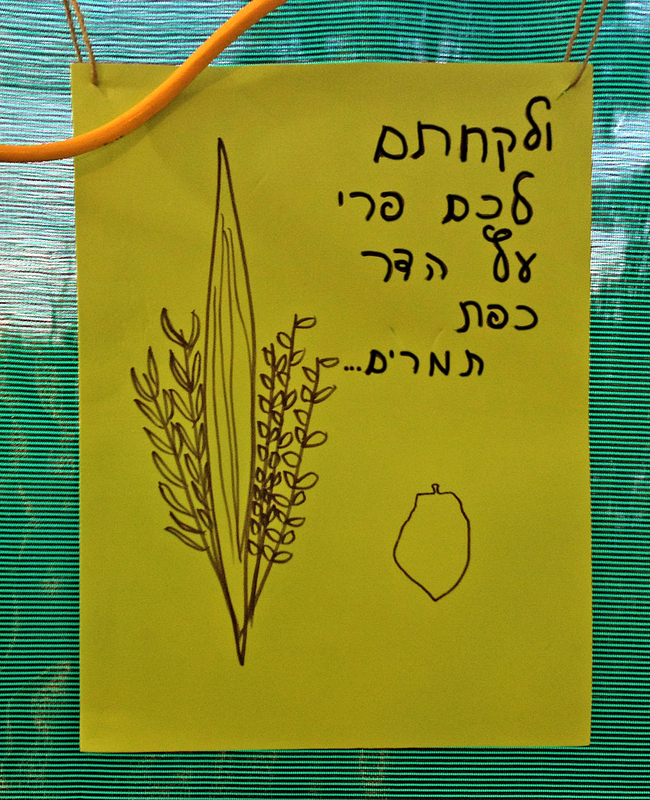 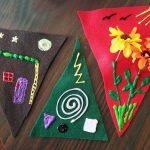 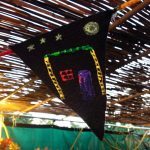 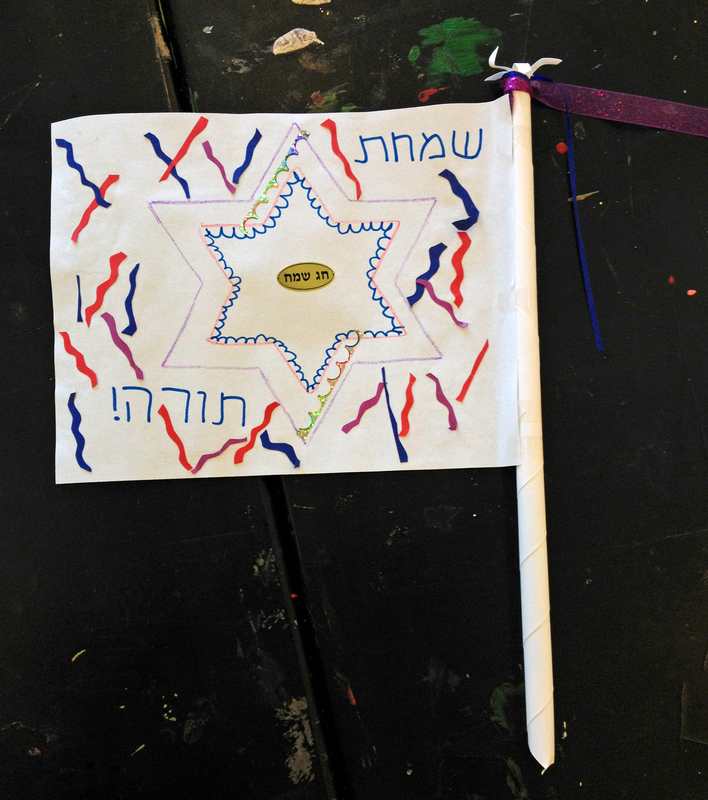 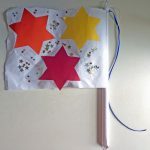 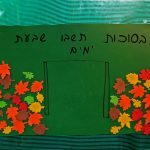 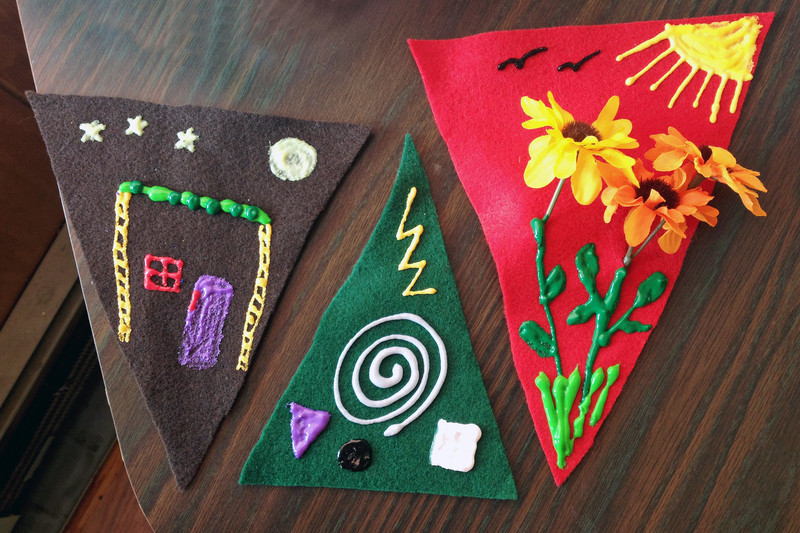 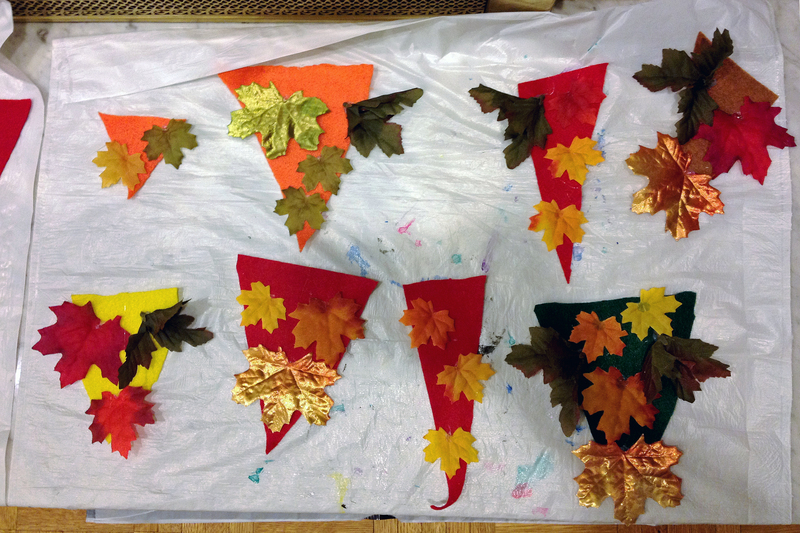 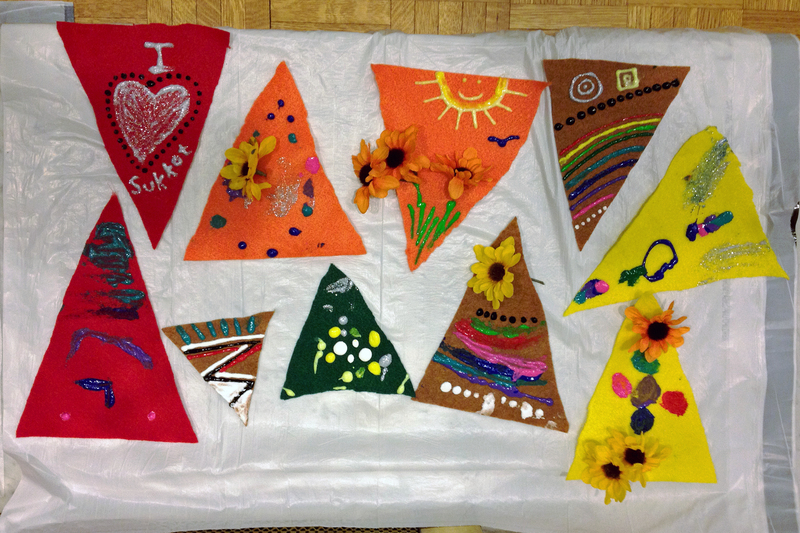 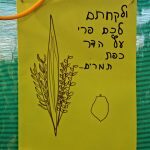 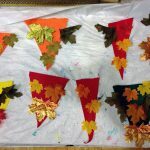 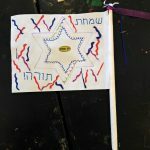 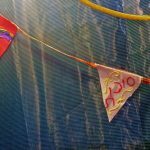 A sample flag I created for a Simchat Torah flag-making workshop I ran for a room full of kids in 2015. 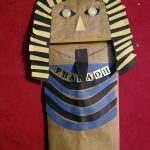 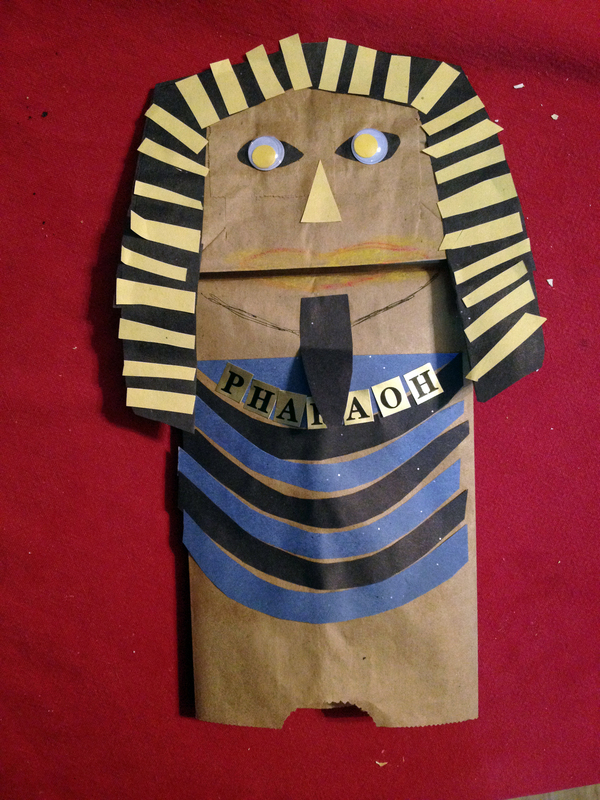 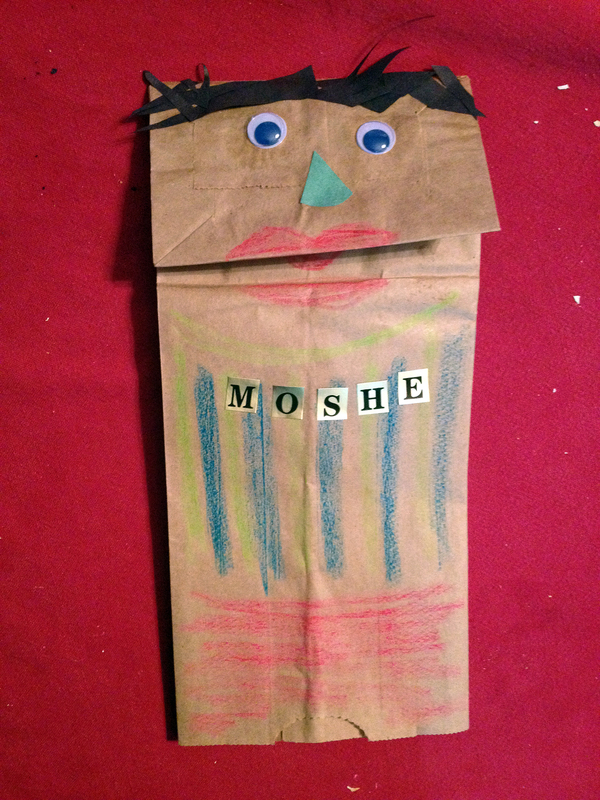 Bat-Pharaoh puppet, carrying a baby Moshe. 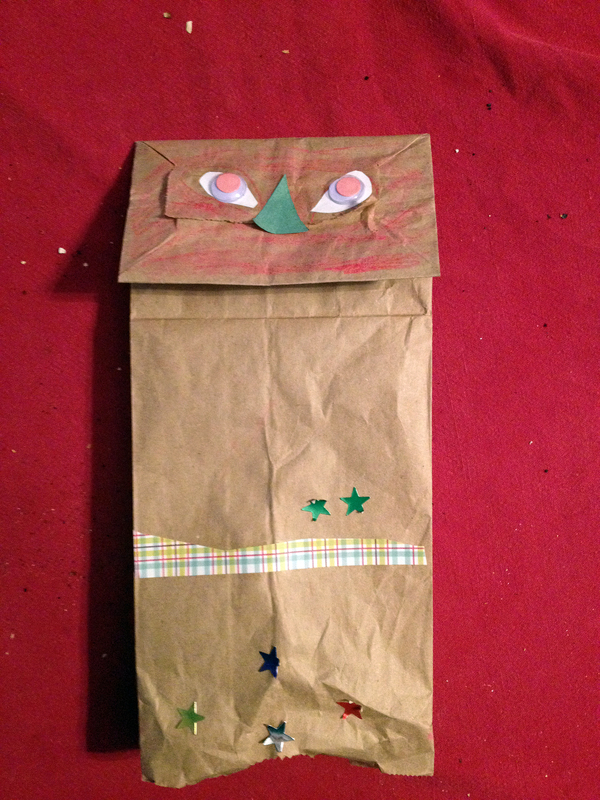 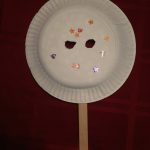 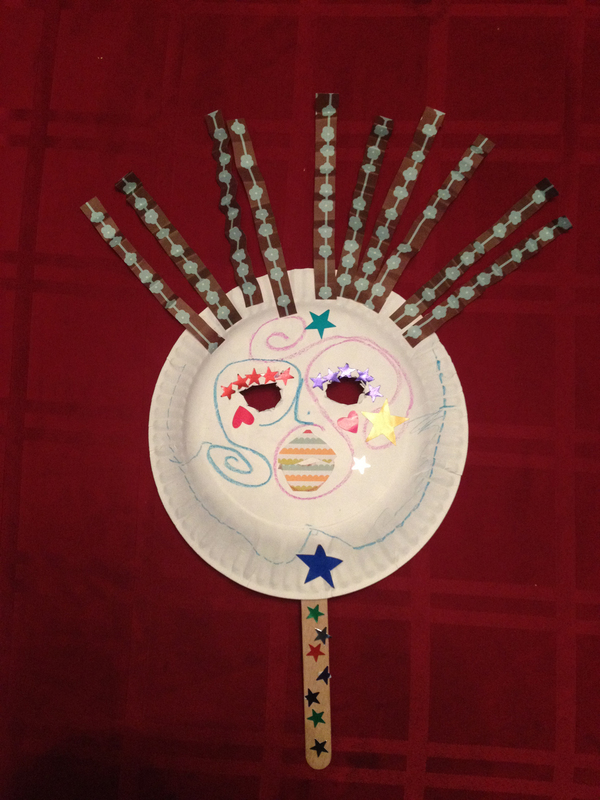 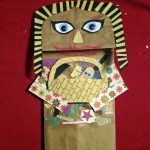 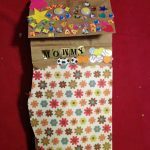 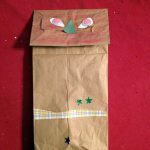 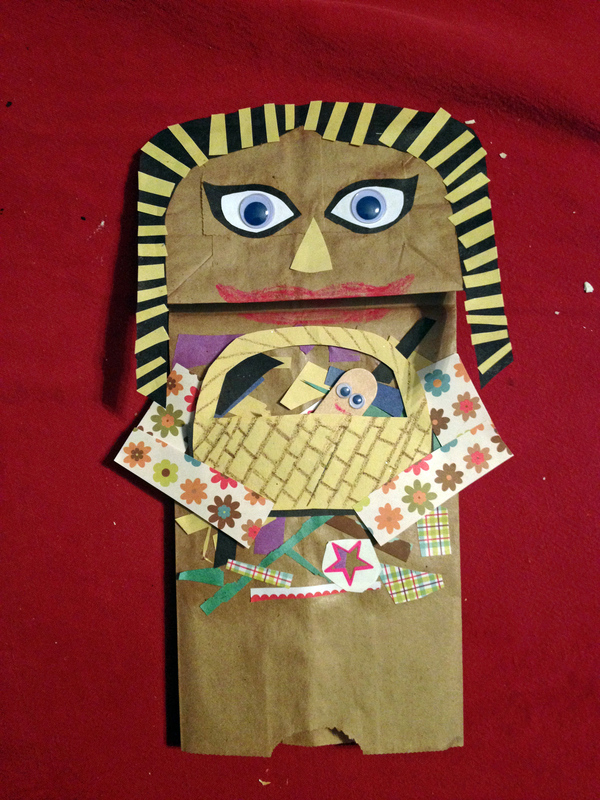 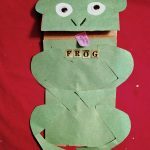 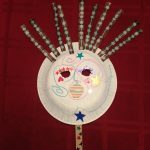 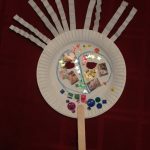 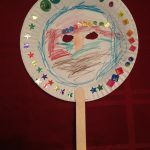 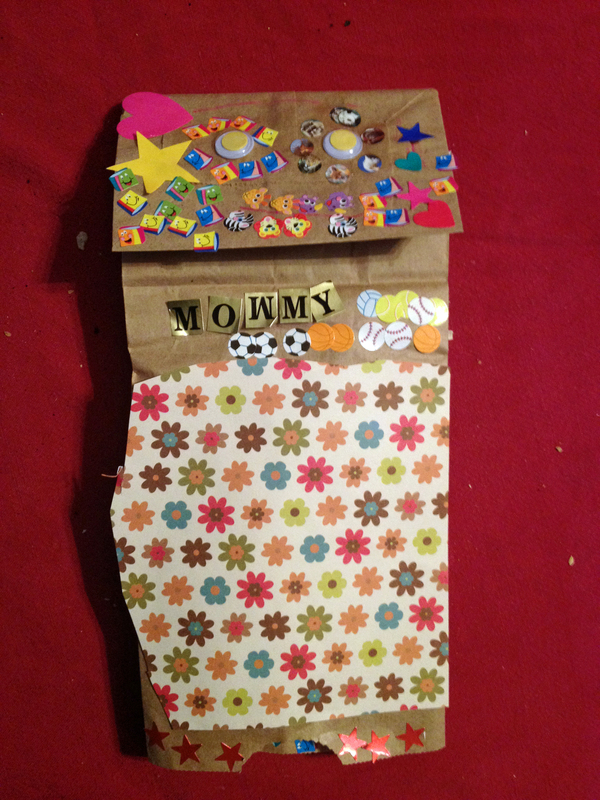 “Mommy” puppet–she, too, left Egypt! 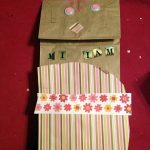 Spiderman puppet. 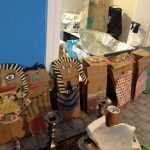 He, too, was apparently part of the Exodus. 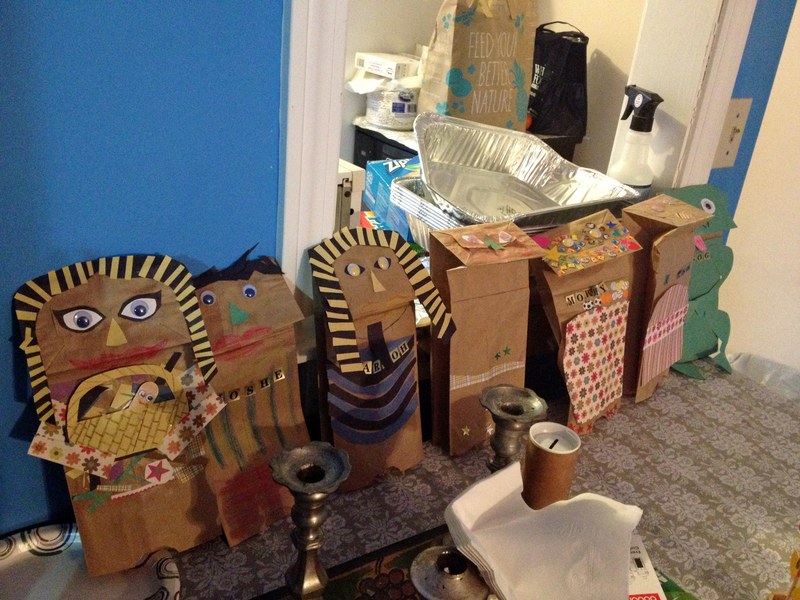 The puppets gather and await the reenactment of the Exodus. 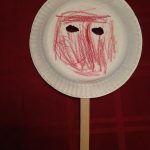 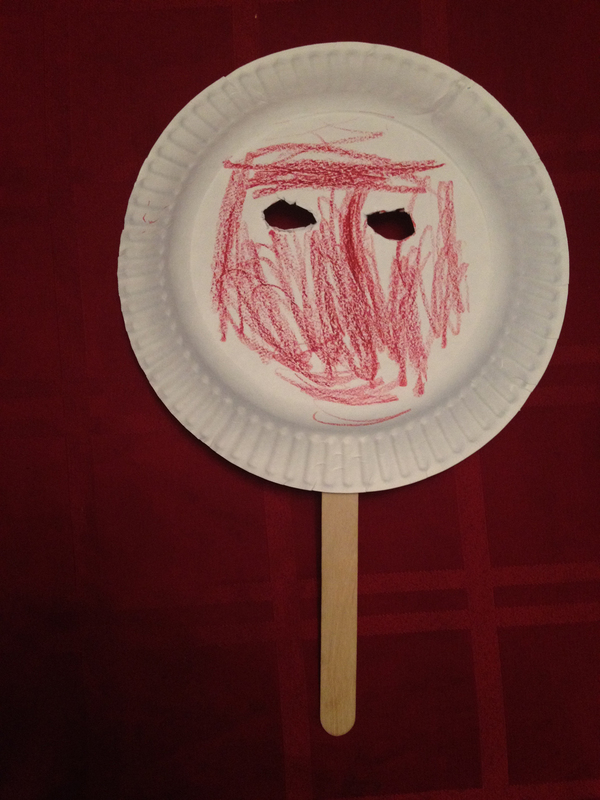 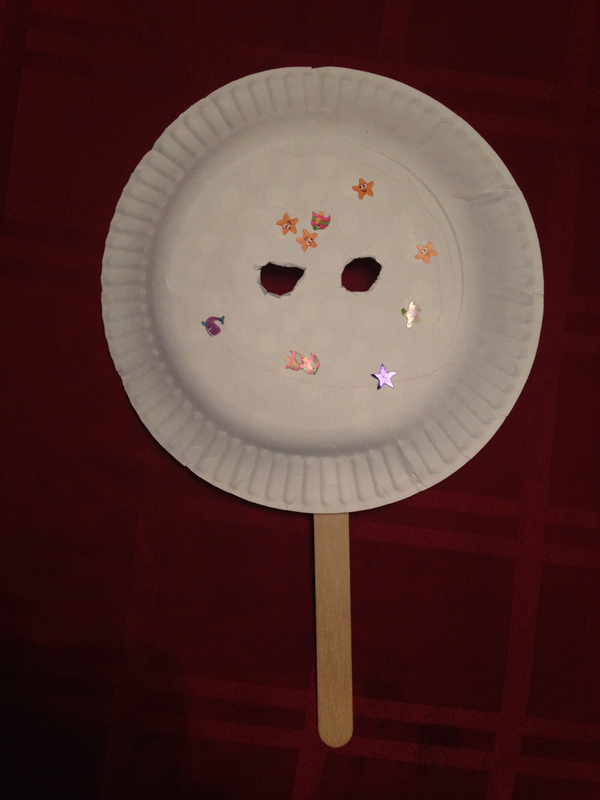 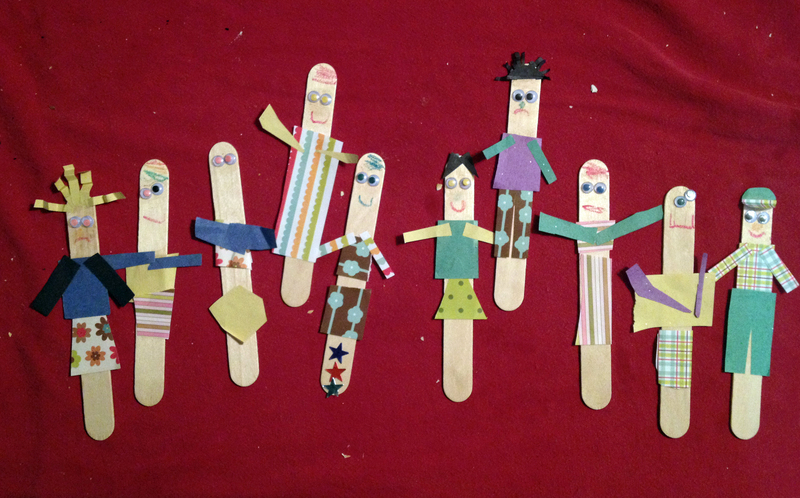 Little mini-popsicle stick puppets: the Israelites. 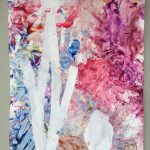 For more of my personal artwork, click here.